what will your children breathe? With the onset of global initiatives to reduce greenhouse gasses, ozone depleting substances, and the need for energy efficiency in refrigeration and air conditioning equipment, the engas team came together in 2009 with the aim of marketing and distributing a range of natural and environmentally friendly refrigerants. 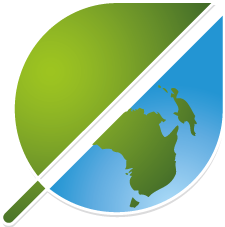 engas australasia supplies Hydrocarbon Refrigerants which are natural, nontoxic refrigerants that have no ozone depleting properties and absolutely minimal global warming potential. engas was launched in 2010, supported by over 10 years of research and development. We are the developer, manufacturer and distributor of Engas Hydrocarbon Refrigerants. We specialise in producing blended hydrocarbon refrigerants which deliver superior performance in energy efficiency. All our refrigerants are environmentally friendly. Hydrocarbon Refrigerants are future proof and will not be phased out. What's the word on engas? "Subsequent use of the air-conditioning in the following weeks has seen vent temperatures down as low as 7.9 degrees, while the outside temperature is in the 30's. This is a cooling level that has never been achieved before, and most remarkably a very hot Porsche engine does not seem to have the same detrimental effect that it used to have. So thank you to Engas for finally making my mid-summer driving a more comfortable experience in an old Porsche."